The EC Football players are doing a little more these days than just practicing for the start of the season. 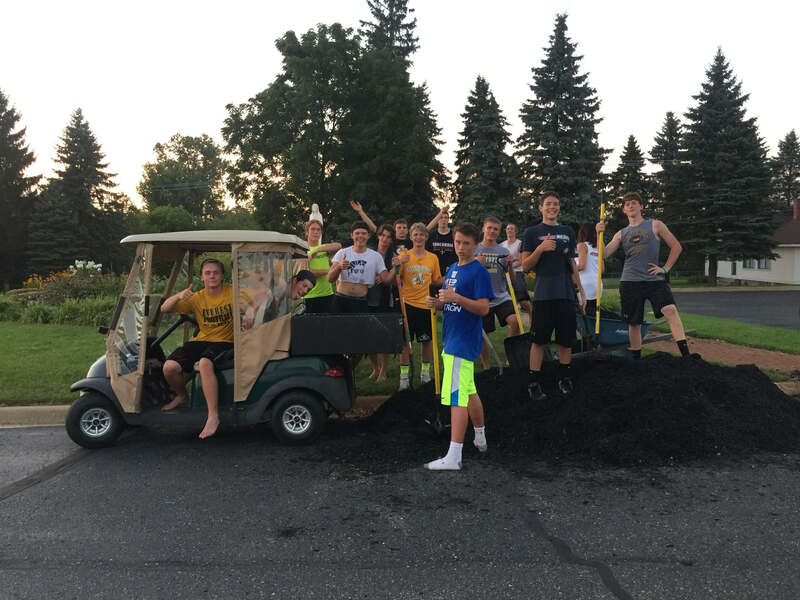 They are helping to beautify the campus, pictured here with football mom Heidi Dexter spreading mulch in the Mary garden at the entrance to the school grounds. Great job guys!